Your Tour Director is Mike Robson, a charming and urbane gentleman from Banchory, Aberdeenshire. With a keen interest in local history and heritage, Mike is a Joint Honours graduate in History from the University of Aberdeen and is the only Tour Guide with this qualification currently working on Deeside*. What does this mean? It means that he can provide tour guests with a fascinating and accessible synthesis of the traditional themes of Scottish history within a local context. The Union, Jacobitism, the Enlightenment, Industrialisation, the Highland Clearances, Religion, Devolution and of course the heritage and culture of the Highland clans and the eventual diaspora of its people will all be explained. Or, if your interest goes back further in time, Mike will explain how the Picts, Romans, Gaels and Vikings led to the making of modern Scotland. Not forgetting, of course, something of modern-day popular culture, from the importance of haggis to the origins of the deep-fried Mars bar… If your passions are culinary, you will find out who makes the best Coronation Chicken sandwich on Deeside (The Bothy, Braemar). He formerly worked in local, national and international advertising and marketing (he ran the first TV commercial in Saudi Arabia) and met 2 Dictators, Margaret Thatcher and Idi Amin, the self-styled ‘Last King of Scotland’. Of the two, Margaret Thatcher was the scarier. After a long career in advertising, Mike has now spent many years exploring the highlands of Scotland. He imparts his knowledge with a deft and light touch and you will find his interest in local heritage and history infectious. The author of 2 best-selling cookbooks, ‘Fun With Spinach’ and ‘The Handsome Chip’, he is a Burgess of Guild of the City of Aberdeen and is also the proud recipient of an Excellence Award from the US military (Special Forces), ‘For Outstanding Performance’. Mike’s Star sign is Libra and he lists his interests as Clubbing (The Royal Scots Club, Edinburgh, The Royal Northern and University Club, Aberdeen, The Scotch Malt Whisky Society, Edinburgh), Military History and Politics, Egyptian PT and trying to engage his two sons in conversation. The ‘What People Say’ section is just a selection of some of the many wonderful reviews that Mike has received from people from around the world who have enjoyed the Tours – with Hidden Deeside Tours you are guaranteed a day in the Highlands you will always remember. * ‘Mike’s own family history is woven into that of the Highlands and Deeside in particular. 3 direct ancestors fought (on the losing side) at Culloden and 1 fought (on the winning side) at Waterloo, numerous forebears served in Highland Regiments and his father was a Commissioned Officer in 1st Battalion Gordon Highlanders. One favourite family story is that in the very severe winter of 1880 his 18 year-old great-grandfather drove a horse and cart over the frozen River Dee at Banchory for a wager, and won the bet! 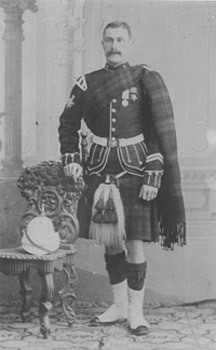 The hero of Tel-el-Kabir, Black Watch. 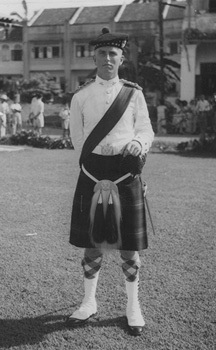 2nd Lt MM Robson, 1st Bn Gordon Highlanders, Queens Coronation Parade, Malaya, 1953. 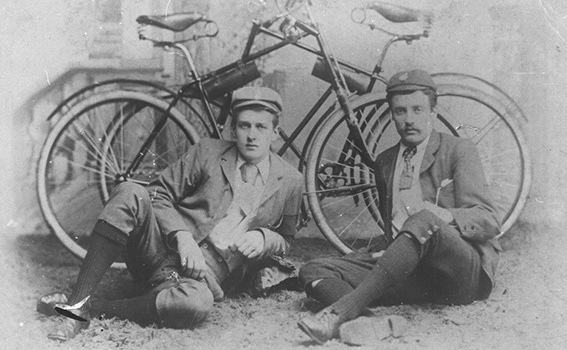 The hero of the River Dee Crossing 1880, on right.